A Waldorf Class Teacher takes their students through eight years of elementary school teaching the main lesson subjects. This unique teaching schedule allows the teacher to really know their students - their strengths and growing edges – and be a source of stability and guidance for them. Teaching is a creative endeavor at a Waldorf school and traditional textbooks are not used. The teacher crafts the lesson and brings it dynamically to the students, who, in turn, create lesson books recording and illustrating the substance of what they are learning. These books are an important way in which art is integrated into every subject. Children are encouraged to make their work beautiful with illustrations and borders calling them to do their best work and have an appreciation for beauty and order. Main lesson is an extended block period every morning in which a subject is richly explored and taught daily over the course of 3-5 weeks. This approach allows for concentrated, in-depth experience and study. Special subjects help inform the learning goals of each specific class and round out the remainder of the day on a rotating schedule. Drama plays a major role in a Waldorf school. It is instrumental in sparking imagination in young children through story telling and in grooming poised speakers before audiences in the grades. Every year each grade performs a class play tied to the curriculum. The sophistication and complexity of the plays increase throughout the grades, often culminating in a production of Shakespeare in eighth grade. Eurythmy is a movement art unique to Waldorf and developed by Rudolf Steiner. While it may incorporate spoken or sung words and choreographed movement, its aim is to integrate the child’s inner spirit with its body. This helps the child to be more integrated and self-aware. Eurythmy classes feature recitation of verses or stories by the teacher, and piano accompaniment. Foreign language classes meet twice a week beginning in the First Grade. Latin is added as a second language in Sixth Grade. The goal of foreign language teaching in Waldorf elementary schools is to encourage a positive attitude towards people of other cultures and languages to increase human understanding. 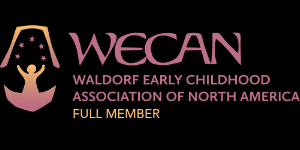 Handwork and practical arts are integral to a Waldorf curriculum. These skills lead to a refinement in fine motor skills that are fundamental to enhanced intellectual development. They help create and reinforce neural pathways in the brain, keeping it supple and promoting brain-body integration. The Mathematics curriculum strives to awaken not only the ability to think logically and critically, but also an appreciation for the clarity and beauty of the laws of mathematics. It imparts the standard components of mathematical knowledge necessary for success in high school and beyond: arithmetic, fractions and decimals, percentages, measurement, algebra, ratios, geometry, number bases, and more. Music permeates the curriculum at a Waldorf school. Children sing and learn to play a simple wooden pentatonic flute in first grade, and then the recorder, violin and various orchestral instruments. They learn to sing simple songs, rounds and chorale music. Students read music, sing, play and perform together throughout the grades. Letters and reading are learned the way they originated in human history: First Graders hear stories, draw pictures and explore letter form in order to deeply learn the rudiments of writing and then reading. This process is accompanied by phonetic work in songs, poems, and games, helping to establish a joyful and living experience of language. The Arts—including drama, painting, music, Eurythmy, drawing, and modeling—are integrated into the entire academic curriculum including mathematics and the sciences. The Waldorf method of education through the arts awakens imagination and creative powers, bringing vitality and wholeness to learning. The study of literature and humanities begin in First Grade with folk and fairy tales and continues in Second Grade with mythology and legends; Third Grade with Old Testament stories; Fourth Grade with Norse mythology; and the ancient cultures of India, Egypt, Persia, Mesopotamia, and Greece in Fifth Grade. These provide the background for history and arts presented through excerpts from original texts. By living in these cultures through their legends and literature, the children gain flexibility and an appreciation for the diversity of humankind. By the close of Eighth Grade, the children have journeyed through Rome to the Middle Ages, the Renaissance, the Reformation, the Age of Exploration, to present day. Science is taught experientially, with the teacher setting up an experiment, inviting the students to observe carefully, ponder then discuss, allowing them to discover the resulting law, formula, or scientific principle. Through this process, independent thinking and sound judgment are trained. Students begin to learn about nature through direct experience on a nature walk and advance to the study of Zoology, Botany, Mineralogy, Astronomy, Physics (including Optics, Thermal Physics, Acoustics, Static and Current Electricity, Magnetism, Mechanics), and Physiology. Recess is elemental at all Waldorf schools. After concentrating in class, all students have recess to move their bodies and allow a space for their lessons to take hold. It is a time to be social and physical.